I’d always wanted to write. Won essay prizes at school, read English at university, held down jobs in advertising. But for years I was too busy running my own business and raising a family to contemplate anything more. It was only when my children reached senior school that I joined a Dundee University Continuing Education class in Creative Writing. At the end of the year, the group – Nethergate Writers – published an anthology of short stories. I was in print! Having a number of my short stories published increased my confidence. A window of opportunity then allowed me to enrol on a one year full-time course in Creative Writing at Dundee, where what became the first scene in my crime novel formed part of my first semester writing folio. 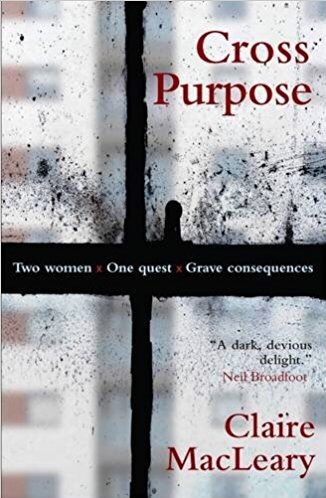 My 17,000-word dissertation showed me I had the ability to move beyond the short story so, after graduating MLitt with distinction in 2011, I sat down to write Cross Purpose. My style is pared-down, leaving much to the reader’s imagination. It has evolved over time and been subject to many influences: Dickens and Dostoevsky in my teens, Scott Fitzgerald and Raymond Carver in my twenties through to Edith Pearlman and Carol Shields in the present day. Writers I aspire to include: Chekov, Katherine Mansfield and Lorrie Moore for their short stories, William Boyd for his breadth of vocabulary and empathy, Alice Munro for close observation, Jayne Anne Phillips for dense, lyrical prose. It took several years between completing my novel and seeing it in print. My first break came when I successfully pitched to agent Jenny Brown, who encouraged me to work with crime editor Al Guthrie. I then submitted the synopsis and first three chapters of Cross Purpose to a handful of publishers. All of them asked to read the full manuscript. Two made an offer. I chose to sign with Saraband, under their dedicated crime imprint, Contraband. Owner Sara Hunt offered me a two book deal. Her author Graeme Macrae Burnet was subsequently short-listed for The Booker Prize. My readers’ favourite is Big Wilma, probably because she’s larger than life and a bit dodgy.! I find all my characters absorbing. They live in my head, and have a habit of speaking to me, often at four in the morning. I rarely know what they’re going to do next. If there’s one that intrigues me, it’s ‘baddie’ James Gilruth. It will be interesting to see when, and if, he shows his weak spot. Until I set out to write a crime novel, I’d read hardly any crime, other than the occasional spy thriller, so the first thing I did was read extensively: mainly Scottish, but also Scandi, French and Italian authors. In plotting my novel, I deliberately steered away from the well-trodden path of the detective with a drink/divorce problem or the highly-skilled forensic scientist. 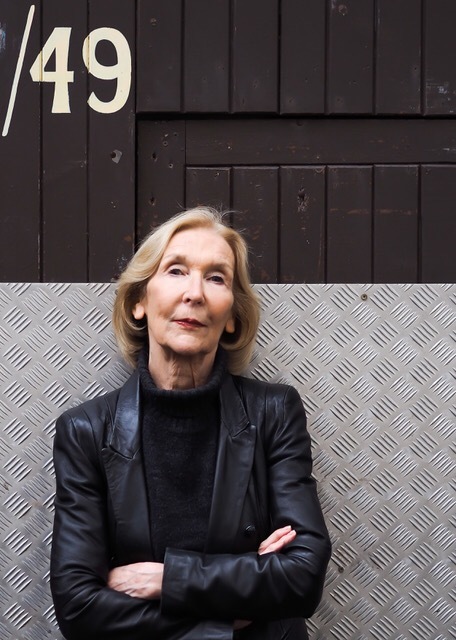 Instead, my protagonists are two ill-matched non-professional ‘women of a certain age’ – the sort of characters readers’ can readily identify with. Think Tartan Noir meets Happy Valley! More specific research involved a visit to the Dissection Room at Dundee University’s Life Sciences faculty and to the Council Mortuary in Aberdeen, along with reconnaissance visits to Aberdeen locations I planned to use. I also sought the assistance of a former Aberdeen detective and a private investigator. No, though they are informed by experience. In the 80s, I lived as a university wife in Old Aberdeen and my son went to nursery in Seaton, so I saw first-hand the void between student life and the deprivation experienced by many residents in Seaton, as evidenced by Willie Meston and his gang of toe-rags. I’m a huge admirer of the late Willie McIlvanney, founding father of Tartan Noir, as Scottish crime fiction has come to be known. I heard the news on a boat in Bratislava. Sara Hunt, my publisher, had been trying to call me. My phone was switched off, and there was no Wi-fi reception other than in Bratislava’s Old Town. So I rushed ashore, found a bar, and the rest… Well, how would you feel if your debut novel was up there with Val McDermid, Denise Mina, Lin Anderson, Ian Rankin? 9. Do you see any of your characters’ personality in yourself and vice versa? My daughter tells me I go at everything head-on, so perhaps there’s a bit of that in Wilma. I’m also driven, as Maggie is in her quest for justice. Plus, my favourite tipple is red wine! I’ve recently submitted to my editor the first draft of Burnout. Every bit as “dark and devious” as Cross Purpose, the second in the Harcus & Laird series features the same cast of characters and addresses white collar domestic abuse. Burnout is scheduled for launch next spring. Where do I start? There are so many crime writers I admire and to whom today’s crime fiction authors owe a debt of gratitude. However, I’ll opt for a woman, and that woman is the late Phyllis James. Why? Because she was so wise, and so gracious with it. Also because she lived to a ripe old age! Be realistic. Getting published is a long process. You won’t earn much and will often be disappointed. If you’re still motivated, sit down and do it. To help you along, join a writing group/book club/evening class. Seek out other writers. Start to think like a writer. Persevere. It’s 90% a question of chipping away and 10% luck. My tale is a lesson on what can happen when you take a punt. A couple of months ago I had a day out at Glamis Castle. There was a Royal Robes exhibition on, and I particularly wanted to see it. The exhibition is spectacular and well worth seeing by the way. What is even more spectacular is what grew out of that visit. 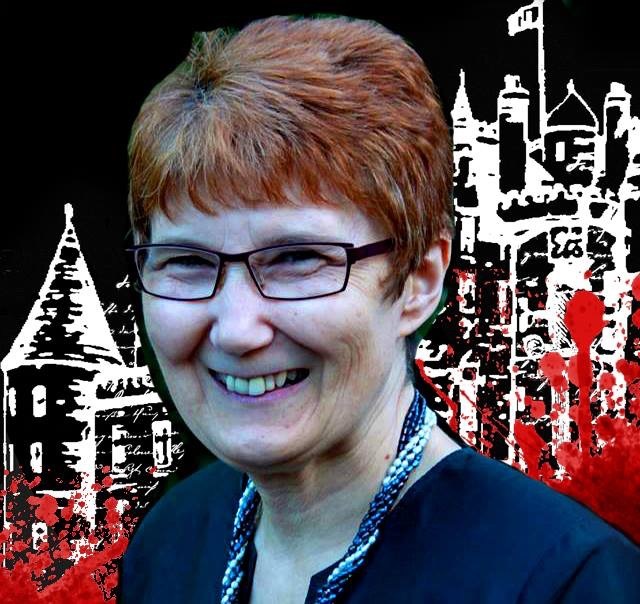 I have long been interested in running a crime event at Glamis Castle. I got chatting to a lovely American lady who worked there. It turned out we were both writers so I enquired who I would ask about putting on a Crime Writing Festival there. It turned out the lady I was chatting to, Pauline Cawdery, was the very person I needed. Don’t you just love it when a plan comes together. 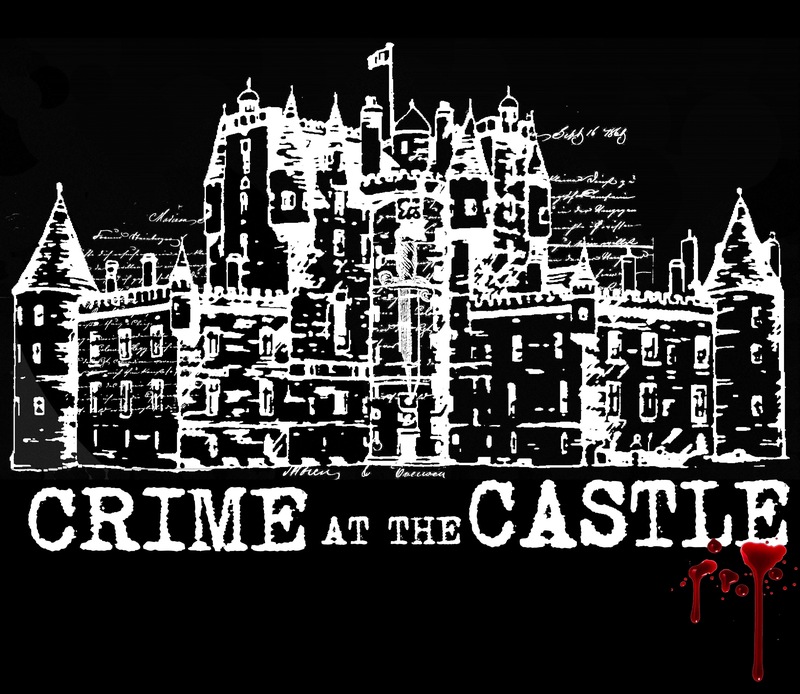 From a day out, Scotland’s newest, and most unique, Crime Festival was born – Crime at the Castle. I am honoured and delighted to have been one of the co-founders with the castle. My good friend, Suzanne Milne, has now come on board and is a very welcome addition to the organising committee. I am pleased to say she is as excited as I am about the event, and I’m sure between us all we will make it a great success. Glamis Castle have been amazing. The event will use the whole castle, including the Dining Room, Drawing Room, Queen Mothers Sitting Room, Chapel and 16th Century Chambers. The bookshop and book signings will be held in the Crypt. There is a cracking line-up of top Crime Writers. Who are they, I hear you ask? That, my friends, will have to remain a mystery. All will be revealed at the end of July. The date for your diary is 24th February 2018. Ticket sales will open at the end of July, when the speakers are officially announced. Until then, make sure it’s in your diary, and watch this space.